Heroic police officers from Antioquia, Colombia, saved the life of a dog when they jumped into the fast flowing and flooded Liboriana River to retrieve the pet. The fast and dangerous current carried away the exhausted dog who was minutes away from drowning. Due to extensive rainstorms, much of Salgar, Antiquia, fell victims of floods and landslides. Residents, pets and farm animals were all affected by the natural disaster and Colombia’s armed forced were dispatched to the area to assist and rescue those stranded by the flood. When officers arrived at the Liboriana river they were looking to assist anyone attempting to cross the river, and what they found instead was a pet struggling to stay alive, floating in the turbulent waters. 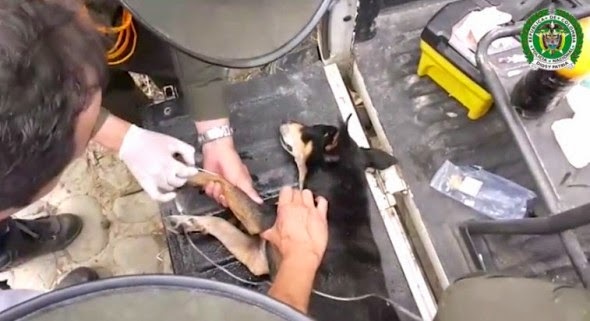 At first officers believed the dog was dead, but they soon realized the pet was alive and was alive and needed help. 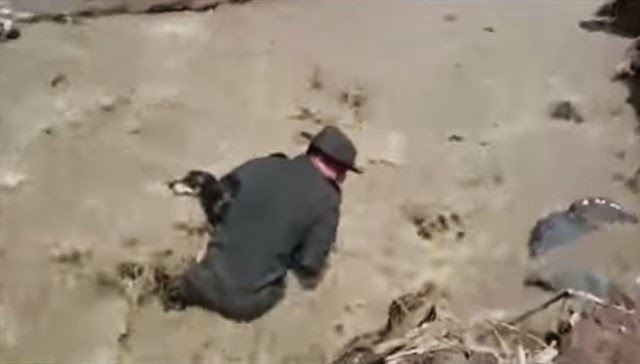 Immediately, the hero men ran along the river trying to catch up to the dog and save him. In the Spanish speaking video (captured by one of the police officers) you can hear how the men encourage each other to run faster and jump into the river. After a short chase, one of the officers jumped in and caught the dog. Another officer helped the rescuer and the four-legged victim get out of the water. As soon as they were on safe land the canine received CPR. Responses to "Heroic Officers Jump in Flooded River to Save Drowning Dog (Video)"
The police officers of Antioquia the best! Thank you for helping the dog!